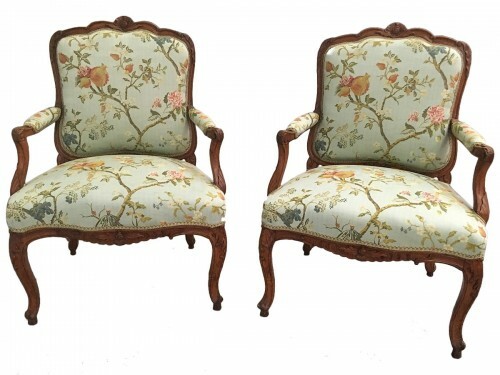 Pair of caned louis XV armchairs stamped “Nogaret a lyon”. 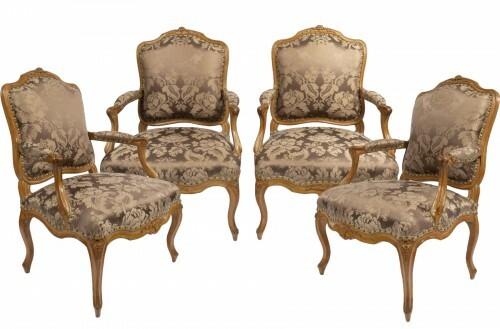 Each walnut armchair is caned within a moulded frame carved with foliages, with downswept arms, raised on cabriole legs. Pierre Nogaret (1718-1771), became a master in Lyon on June 1745. Pierre Nogaret appears in the pantheon of the 18th century most famous carpenters.Having learned carpentry in Paris, he chosed to settle down in Lyon.The main leader of the Lyons production, his reputation will soon cross the regional limits.A seat manufactured by this carpenter is recognisable at a single glance : a game of curves, a very typical armrest, a “coup de fouet” console, balance and nervousness, elegance and movement.his workshop produced numerous seats. 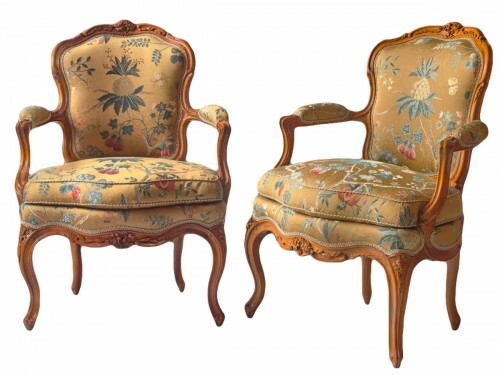 He perhaps drew inspiration from Parisian masters such as Tillard and Cresson and from furniture of the Piedmont. 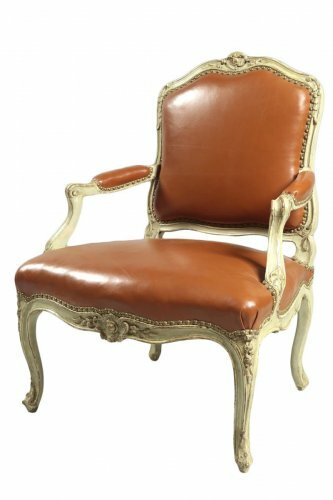 But in his own style he was able to break free from the influences to create models of a generous opulence while at the same time rigorous and balanced. After his death in 1772, the inventory shows no less than 297 seats. 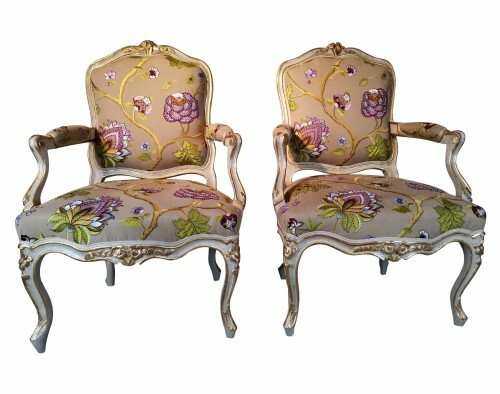 Louis XV period, 18th century, circa 1760.